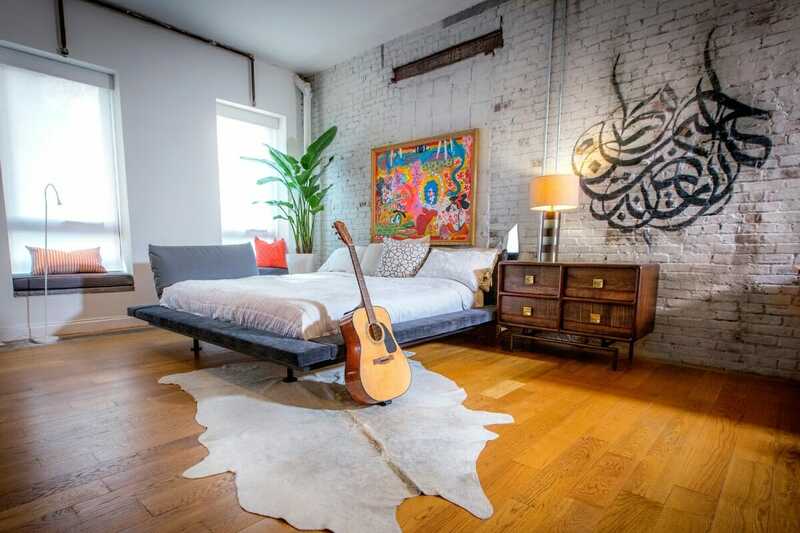 Double function is king in all of the best studio apartments. So, choose multi-function furniture to save space. 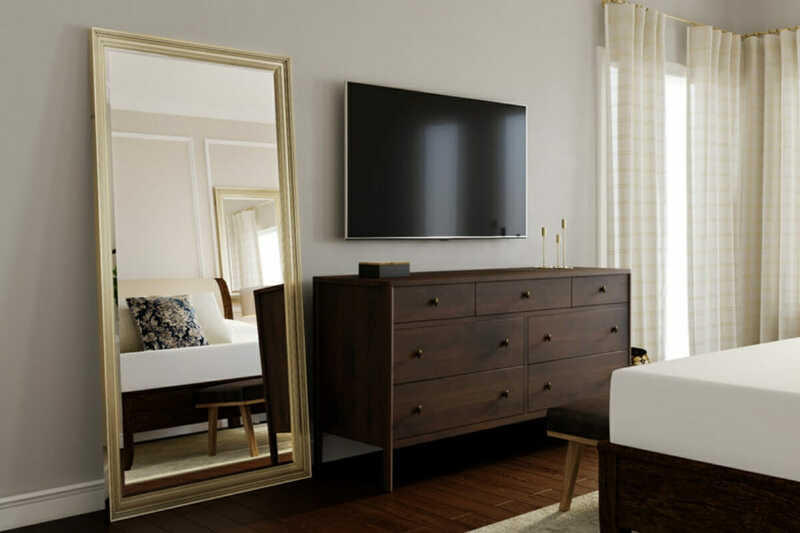 A bed frame can have a hidden drawer compartment and house a bed; innovative coffee tables can be adjusted to form a desk; a bedside table can have an attached lamp. It also helps to choose furniture that is scaled to suit compact quarters. However, don’t get every mini piece of furniture you can find. 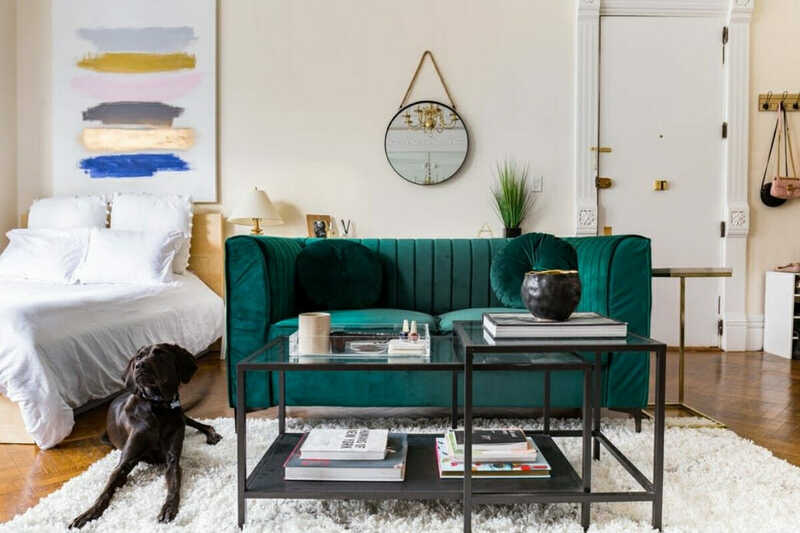 Find a balance between big in small, and refrain from cramping a room full of small studio apartment décor you don’t need. 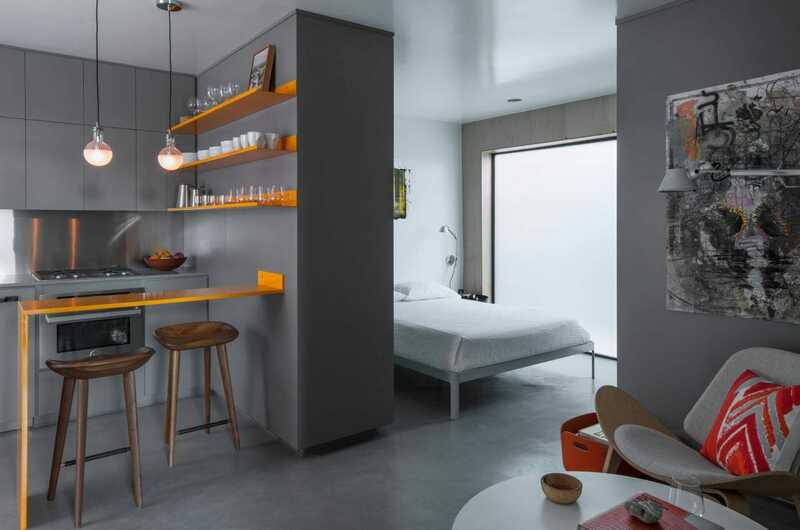 Small studio apartment design by Decorilla interior designer, Francis D.
Zoning, defining different areas, is an essential tool that gives structure to a small studio apartment interior. Room-dividers and color blocking can help create different zones in a one-room home. Use a bookshelf or curtain as a dividing screen between the bedroom and active areas like the kitchen and living space. Color-blocking or coordinating textures is another technique that cleverly creates distinct functional spaces. 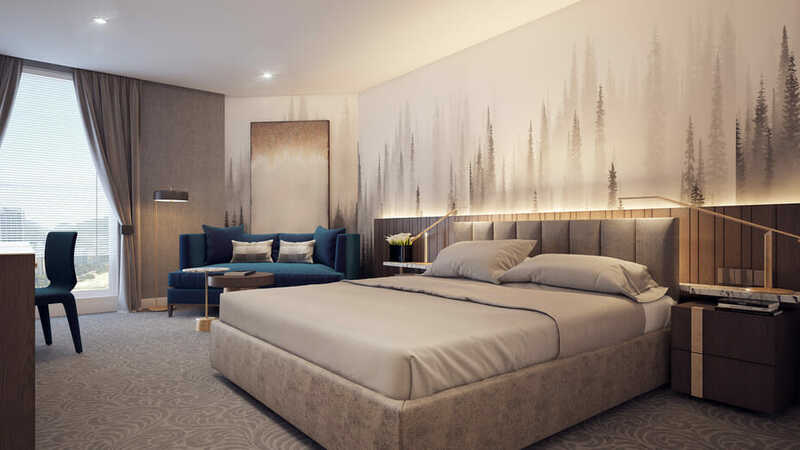 For instance, in a studio with a palette of blue, white and grey, each area will feature one color more predominantly than another (white in the bedroom, blue in the living room and grey in the kitchen). 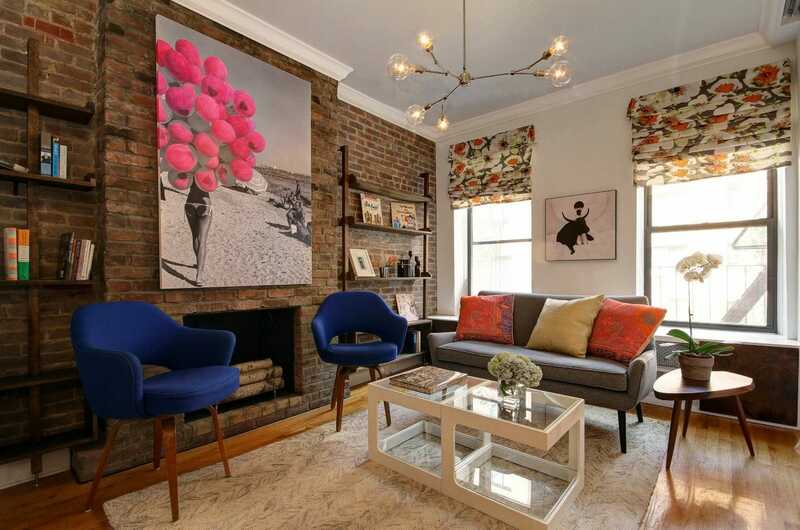 Use throws, rugs, and pillows to add texture, artwork and small apartment décor to add pops of color. It’s challenging to have a small studio apartment that caters to all you need in your life. So, prioritize instead, and choose two things you can’t live without. Entertaining and cooking go well together, while a study and creating pair well. 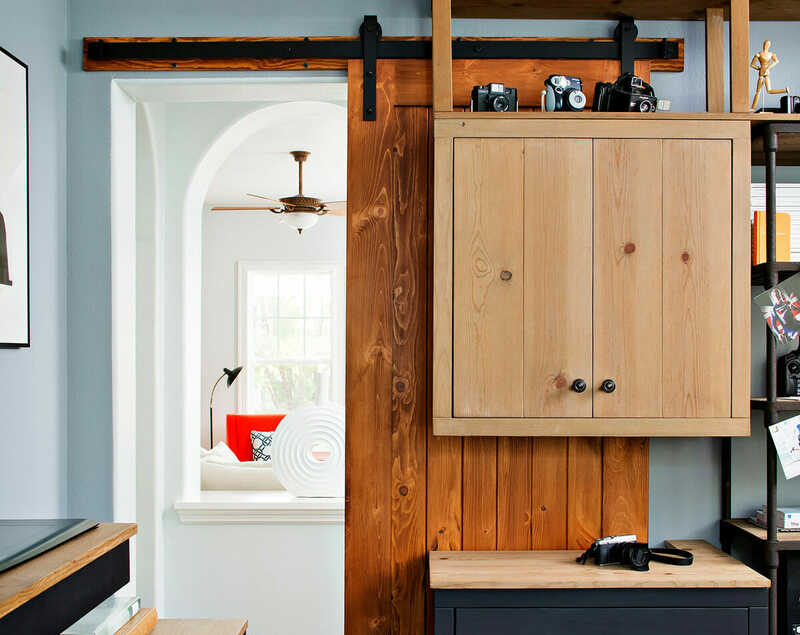 Fortunately, more functional spaces can still be included in your tiny home, thanks to smart design. For example, if entertaining is your main priority, you can have a dining table, that can also be converted into a desk or workbench if you create as a hobby. 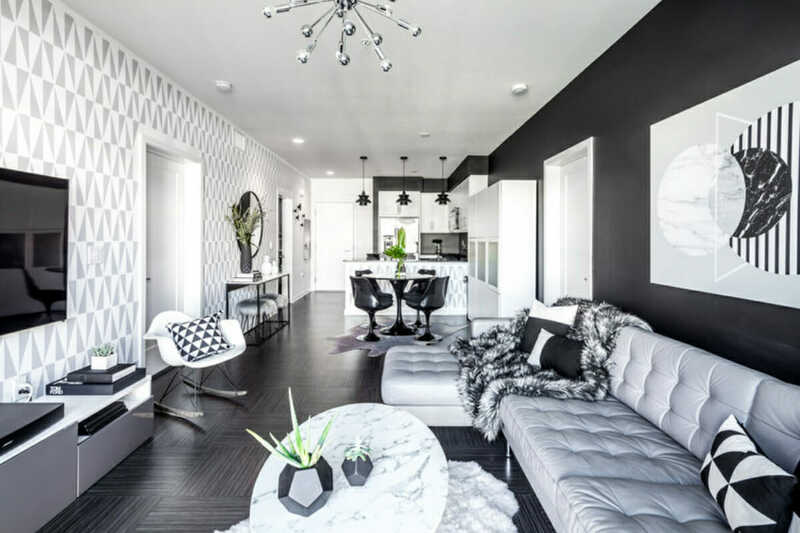 Small studio apartment design by Decorilla interior designer, Michelle B. 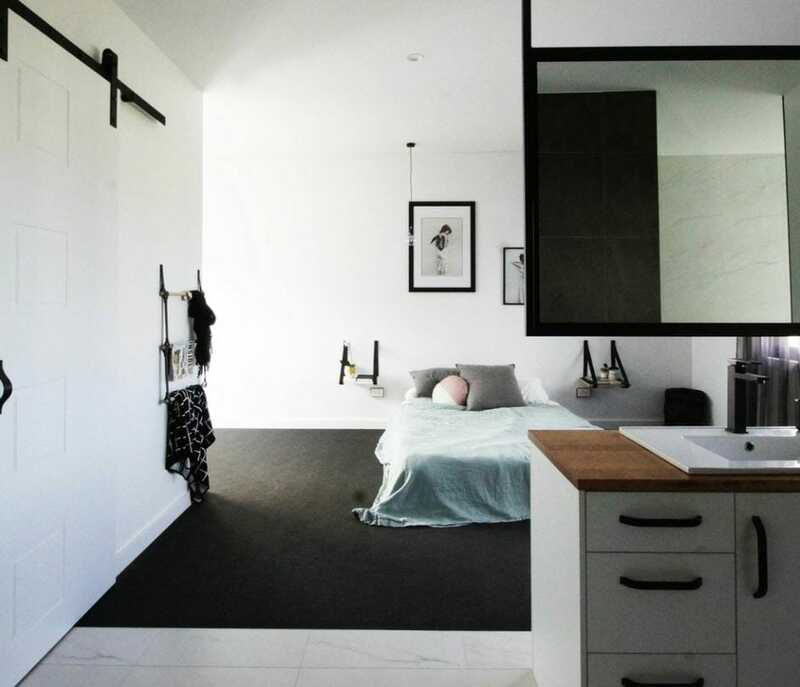 Making a studio feel spacious comes down to the apartment layout. The best studio apartments incorporate double-use furniture and make the most of the floor as well as the wall and ceiling spaces. You can’t always move a couch or bed, but you can get storage off of the floor with vertical shelving. Even more impressive is a wall bed or a hoist-able bed; that is a bed fixed to cables that can pulley up to the ceiling to clear valuable floor space for entertaining. 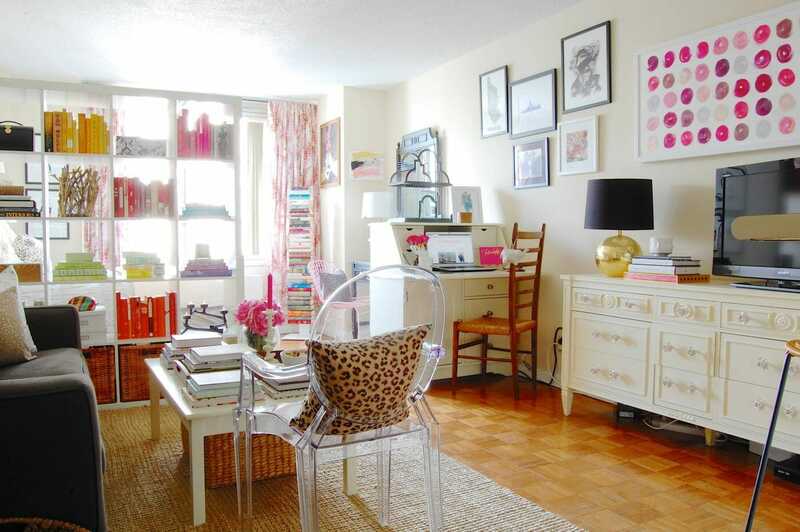 You’re likely to double the use in your small studio apartment when you incorporate all five surfaces of the interior. A small loft, platform living area (with hidden storage) or vertical hung furniture are all brilliant options. A small home often has a big personality, which means a feature wall will fit right in. Like zoning, you can also use a feature wall, like a floral wallpaper or remarkable artwork, to frame a specific area and make it stand out from the rest. If you have more than one room in your studio, replace hinged doors with sliding panels. In the kitchen, screens can replace cabinet door fronts while a barn-style sliding door can replace bathroom, bedroom and patio doors. Sliding panels are traditionally more industrial in style but needn’t be. Acrylic or frosted glass sheets will add a contemporary flare; a pastel-painted screen will add a mid-century modern twist; a clean-lined white wood door slide adds a Scandinavian look. Design by Decorilla interior designer, Paaj Y.
Reflective surfaces do two wonderful things in a small studio apartment: first, it creates an illusion of depth and space; second, it reflects much-needed light. Even the best studio apartments often have one or two windows that don’t provide loads of natural light. Luckily, a large mirror can easily double a tiny home’s lighting. Place a large mirror, (silver and mirrored décor will reflect light too), near a light source to make the most of its reflective properties. This small apartment décor tip can be added into a gallery wall or double as a dresser’s mirror. 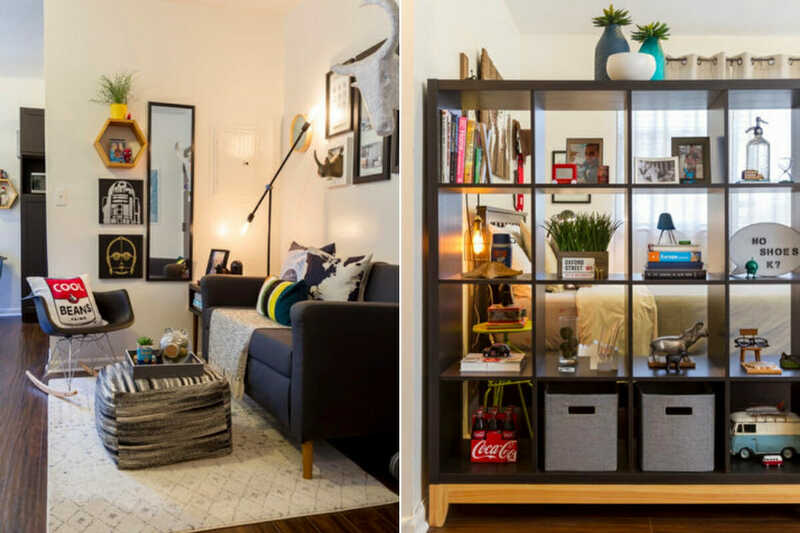 Are you ready to perfect your small studio apartment? Contact our expert designers and schedule a free consultation today!